Minister Kamineni Srinivasa Rao is worried about the tension between the TDP and the BJP.The reason for this is that he is very fond of Chandrababu. The Kamini won the BJP MLA There was unexpected vital medical and health department... TDP leader Chandrababu is close to him.In the last 2014 elections, the BJP ticket was won. If the party,But he is in BJP, but his mind is in TDP.Moreover, TDP leader Chandrababu is a favorite of him.He is former medical minister Kamineni Srinivas. Now in fact there is no connection to the BJP and TDP. Moreover, the BJP is the TDP and TDP is the BJP, which is heavily criticized. These criticisms are also loosening the boundaries. Moreover, challenges are also throwing. Even the former Minister Kamineni has not yet heard the mouth. The campaign was also a lot of times that he was more loyal to TDP than BJP. He also said that he can not see the PM sharing the stage with Modi. Meanwhile, AP BJP leaders held a meeting in their meeting to come out of the new AP Cabinet. Minister Kamineni Srinivasa Rao also attended the meeting. But the sooner it came to know that the Kamineni came out of the meeting shortly after the meeting. In this context, the doubts about whether he accepted the BJP resolution. On the other hand, the BJP's choice is that he has acted in this manner ... some are discussing that he is not likely to come out of the AP Cabinet. AP BJP leaders rolled out a movement. Fighting for the whole special status in the state is known. 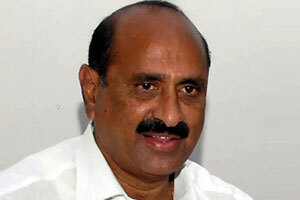 Both the TDP and the Opposition Vicepis are also blaming the BJP. Another party that is doing injustice to AP is another party. Thus, the BJP is more marginal than the AP. People are angry to see if the BJP flag appears. To protect the party in this context, the BJP leaders will move to a movement to protect themselves from the attacks of the Opposition and the Opposition. Leaders, including TDP and YCP, have decided to take silence to repudiate the misuse of the other parties. Former Minister Kamineni, who has to take part in the movement, has been forced to escape. If he participates in this movement, he must decide whether he will have to criticize TDP and that he would be better not to participate in it. There is a massive campaign that is going to bring his health problems to the screen. Even though BJP leaders have criticized TDP in the state, it is surprising that Kamineni is still planning to do the same. Attending the agitation, Chandrababu will have to reverse the government.